Gorilla Adventures: How to 'Dispose Off' at campsite? Now-a-days we hear a lot about maintaining cleanliness on camping sites; especially about ‘Disposing of Human Waste’. Trekking is a huge concept; and maintaining cleanliness is just a small aspect of it. I have been writing a lot of articles through my blog regarding the rules & regulations to be followed while trekking. ‘Disposing of human waste’ is one of the rule from these regulations. In fact, it’s a common sense. We learnt this in school already. Then you may think, what to discuss on it suddenly. But it has become important to make new and upcoming trekkers & outdoor enthusiast aware about these rules & regulations as the unawareness in this regards is turning to a disaster to environment. In foreign countries, they follow strict ‘Outdoor Ethics’. They are very prompt in it and the Government there levy heavy penalty to those who don’t follow it. Basically, our government is least interested in the development of adventure and outdoor, so that transfers a huge responsibility on the shoulders of regular trekkers and outdoor enthusiasts like us. Maintain optimum group size. A team should consist of 6-7 members only. If in case, members increase, they should be further divided in to small groups of 6-7 members. Try not to give load on camping site and natural resources in that area. The place for loo should be pre-decided. After reaching and settling down at camp site, the leader should hunt for a good and safe place for loo and should show that place to other members. So they can do their work after waking up in the morning at that place. It will save time and will avoid unnecessary headache in morning. 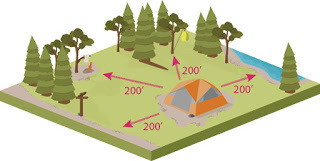 Camp site and place of loo must be 200 feet far from nearest water reservoirs. So that the water is not influenced of littering (which we should not do) at the camp site. It will also help the animals to get undisturbed during their visits to water reservoirs. In turn, we remain untroubled by the animals. There should be separate places for ladies and gents for loo. All the members can pack-out the camp and their morning rituals while few are busy in loo. All members must be ready as team to leave for trekking after the last member returns from the loo. Human body is slave of habits. It can be controlled through mind. If practised, we can set a particular time for loo in the morning. Of course, it will take few treks to get habit of it, but it’s going to work for sure. One can make necessary changes in diet for it. Avoid food that’s heavy for digestion. In case, one miss the time or don’t feels to go to toilet, try to complete it only after reaching at next camp. One should not go for loo during trekking keeping others waiting on the trail. This will keep that trail and surroundings clean and also will save time of trekking. 1. Use a loose soil place for loo. (The leader should hunt such place as discussed above.) 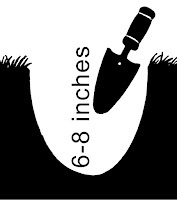 Dig a 6-8 inches hole (usually equal to size of pothole). You can use a camping shovel for it. 2. 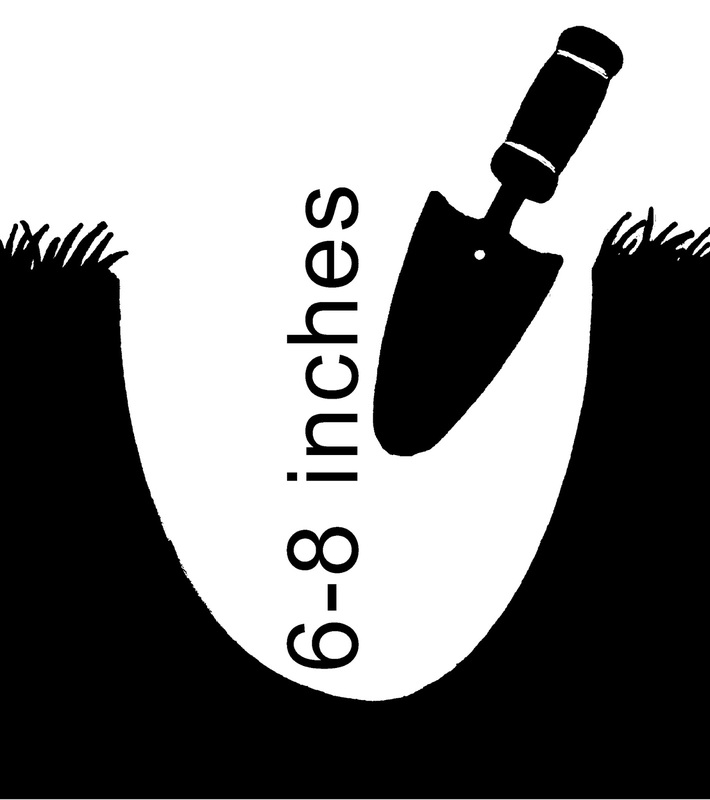 After done, throw the tree leaves and used water in the hole and cover it again with the soil dug from it. Do not use tissue papers, they are against the rules. Be sure that there are no small water streams around that place, so the dirty water can be kept far from main water reservoirs. 3. In the last place, prick a wooden small stick (which is down on ground, do not break fresh ones) on it to mark the place for other users. This will make others alert about your work and they will go for other point. If we could follow at-least these steps during trekking, we can assume that we are succeeding in our goals.